The first White Night was held in Paris in 2002 (Nuit Blanche) and has since then spread throughout different cities in Europe. In Spain “The White Night” is held once a year in Madrid, Malaga, Badajoz, and also Alcal& aacute; de Henares. The city of Cordoba also hosts a “White Night” however this event is dedicated to the art of Flamenco and therefore has the name “La Noche Blanca del Flamenco”. “La Noche en Blanco” is a cultural program that is held throughout the night which offers free admission to different venues and locations throughout the cities. The event includes free activities such as exhibitions, concerts, performances, films and guided tours of museums and other important buildings and landmarks. The activities can be found both indoors and outdoors and are grouped into different categories; visual arts, performing arts, music, art in the street and extra visits. 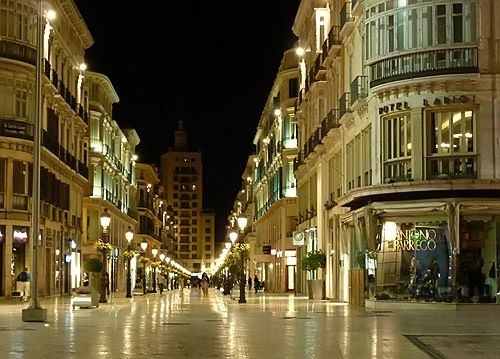 This year in Malaga “The White Night” will offer 130 free activities in over 100 different locations. The special occasion will start on Saturday night at 20:00 and will go until 03:00 Sunday morning. Some of the highlights to look forward to this Saturday are free admission to the newly opened Thyssen Museum and the Picasso Museum. The organization of the Malaga Film Festival will project video creations around the city from the film festival and the Contemporary Art Center will host concerts and several contemporary dance performances. 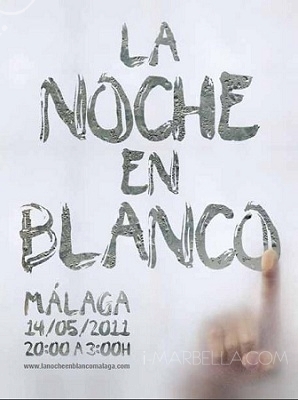 To see the program of this year’s “La Noche en Blanco” in Malaga HERE, unfortunately it is only in Spanish, however here you will be able to see the different landmarks, museums, concerts and performances that will be included in this year’s event .